Good quote from Greg: “We don’t see fake media as fish don’t see water”. 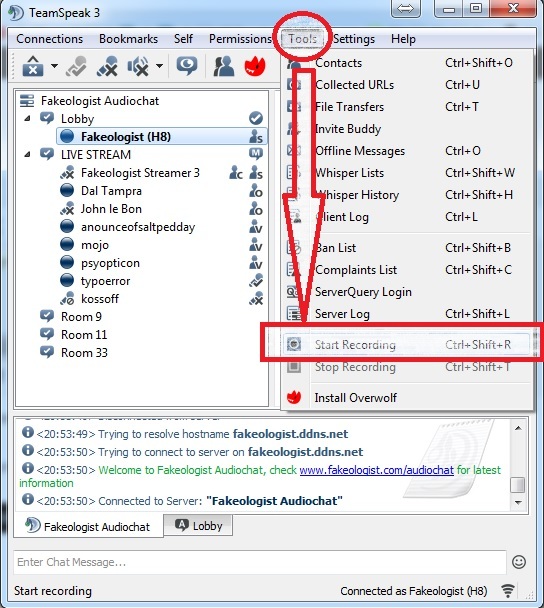 Make sure you record your audiochats with teamspeak’s built in recorder and send it to me when done if you’re not in the live stream or just to back up. This recording was saved by Uninstall Media. Good job! This entry was posted in Audiochats on September 18, 2015 by ab. How can something be true when nobody believes it? With the media’s help, anything is possible. At 47:00, nobody believes Isis exists. At 54:00, Afghan president Kharzai says Al quaeda doesn’t exist. This entry was posted in Audio, Media Hoaxes, Middle East, Military, Recommendations on September 18, 2015 by ab. 13 years is a mighty long time. What can be said that hasn’t been said a thousand times before? We know a few things. The official story is a 100% lie. It was a psychological operation against the entire world. It was an inside/outside false flag operation. The media is complicit in the cover-up. Treason lies at the heart of the event. There were some who benefited greatly, most did not.Truth is out there. Somewhere. In spite of the so called truth movement which was part of the original planning and infiltrated from day one in anticipation of a great number of individuals seeing through the operation and speaking out. The perpetrators made a lot of mistakes, some so sloppy that they couldn’t be totally hidden. Obfuscation worked to cloud reality. Cognitive dissonance became a new meme in an effort to stop truth in its tracks. There are those who sell themselves for a few nickels to act as deceivers, confusers, shills and trolls in the effort to divide us, to control us. This entry was posted in 9/11 on September 18, 2015 by ab. Chris and I talk how to distinguish between a real event and a psyop, specifically the Christina Tahhahwaha case.